​When I was studying biochemistry and food science, the best way to help myself remember the important stuff was through story. While writing my book, I made a point of sharing all my stories to help others remember what the B-vitamins and other ingredients do. This book excerpt comes from Part Three: How Do They Work. In Part Three, we review the 30 most common energy drink ingredients, from the B-vitamins through yerba mate. Each ingredient gets its own section, wherein we review where the ingredient comes from, what it does, and the safe and effective dosages. 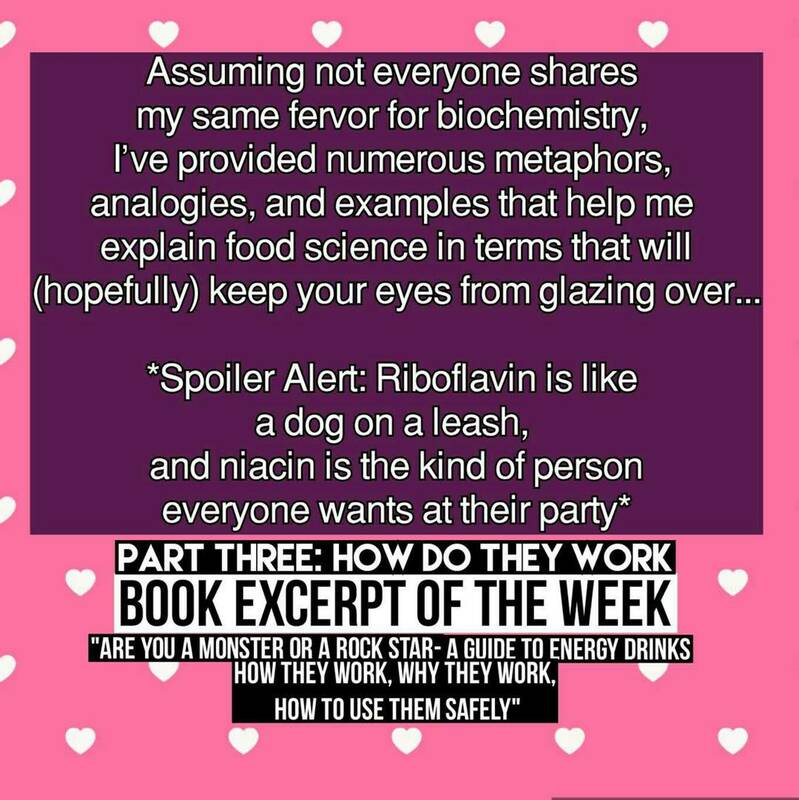 As we continue the Excerpt of the Week series and move through PART THREE of my book, the excerpts will include highlights of each section on each ingredient. Stay tuned!